A solid group of Democratic moderates are in favour of the bill and pushing back against Warren. On the other, more liberal Democrats are blasting the bill as a giveaway to Wall Street and a repeat of the same mistakes that led to Wall Street’s collapse. The Massachusetts senator took particular issue with a provision of the bill that would increase the threshold for a bank to be designated a Systemically Important Financial Institution (SIFI) by regulators to $US250 billion in assets held from $US50 billion currently. 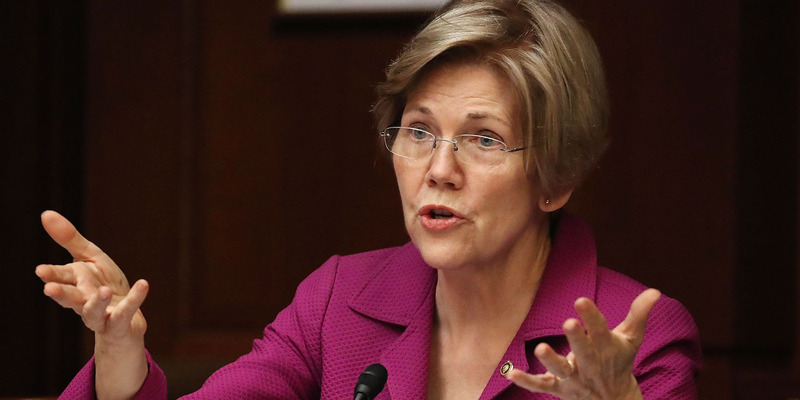 Warren has even gone so far as to attack fellow Democrats for their support of the bill. The senator sent out a fundraising email blasting colleagues for voting in favour or the bill and wrote a Medium post acknowledging that other Democrats are irked at her insistence. While Warren and others see the bill as a reversal of key protections, a solid bloc of moderate Democrats – especially those in states President Donald Trump won in 2016 – believe that the bill is a sensible approach to tailor regulation to banks based on their size. Some red-state Democrats are even taking on Warren directly. Sen. Heidi Heitkamp gave a speech on the Senate floor on Tuesday to push back at some of her colleagues’ concerns about the bill. “Some of the things that she has said are incorrect, and I cannot let the legislative history of this legislation be what Elizabeth Warren says it is,” Heitkamp told The Atlantic. Sen. Tim Kaine, the former vice presidential candidate, said that even with the rollback the amount of oversight on the financial sector will still be significantly higher than before Wall Street’s collapse. Senate Minority Leader Chuck Schumer recently came out against the bill after keeping quiet since it moved out of committee in December. Schumer echoed other Democrats, saying the bill’s deregulation efforts go too far in easing restrictions on large regional banks.